1. Do you proudly direct people to your website? If you’re cringing or making excuses every time someone mentions that they have perused your site, then it’s time to take it shopping and give it a makeover. But seriously, your website should be the focal point of your digital marketing strategy; if it doesn’t look like it was professionally designed and written and showcase your products and services, it’s hurting your business. Of course a knock-out site will benefit sales and marketing, but did you consider that it will benefit all of the other areas of your company? A professional, custom site will also do things like attract top talent and bring you extra recognition in your industry. 2. 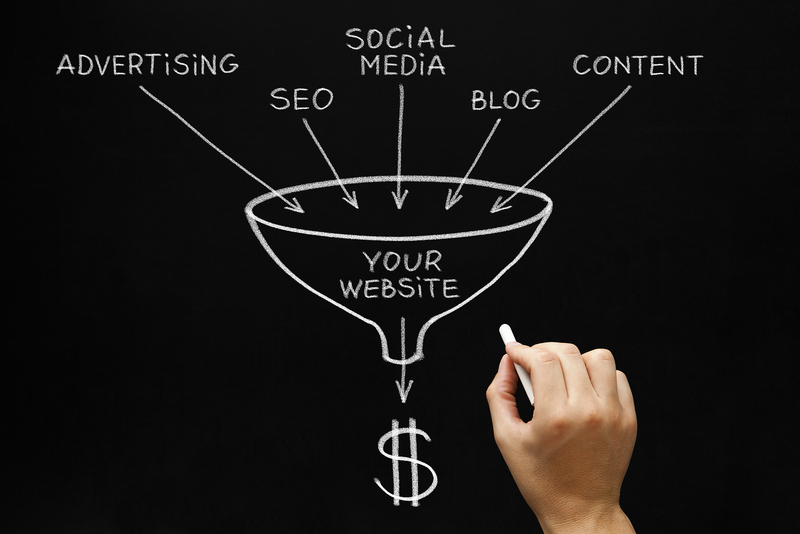 Are you actively seeking to optimize your website? In other words, are you split-testing? This is a way of comparing two almost-identical pages on your website to determine which one is better based on actual usage from actual web traffic. This way you can identify things like your visitors’ preferences and the success rate of your landing pages. So, yes, the color of your call-to-action button is important. 3. Do you know where your customers are coming from? In order to make results-based marketing decisions, you have to close the conversion loop by tracking where your visitors are entering your site. Otherwise, you will never know which tactics are working and which ones aren’t. This can be as simple as setting up a few goals in Google Analytics or implementing a more complex CRM system. Either way, figure out what you need and devote the resources. 4. Are you generating effective content that drives traffic to your website? Unique, publication-worthy content has quickly become the stuff that high search engine rankings are made of. Are you blogging? And posting articles on Facebook, Twitter, Google+, and LinkedIn? If not, we have some ideas about blogging, creating content, and boosting your SEO that should help. 5. Have you maxed out your current marketing initiatives? Take a comprehensive look at the marketing channels you already have in place. Are you leaving money on the table somewhere? If so, devote the extra resources to something that you know is working and make it work a little harder. If you answered yes to each one of these questions, that’s fantastic! It looks like you are a savvy marketer with an impressive website who is ready to try out some new marketing channels. Where to next? That depends on what you want. First, let’s go back to your website. Are you effectively employing specifically-designed landing pages and calls-to-action? Take a look at our blog post that is devoted entirely to this topic. Ok, you have some killer landing pages. Maybe you want to look into using a demand generation program that utilizes a variety of advertising media and promotes your unique content through e-mail marketing. You want to close more sales. Of course you’re always looking to shorten your sales funnel and deliver more sales-ready leads to your sales department. Here, you may want to implement a lead nurturing program, which is an e-mail marketing system that allows a business to send automated e-mails to early-stage leads who, at this point, may not be sales-ready. The purpose of these e-mails is to provide quality content that, over time, pre-qualifies these prospects before they are passed on to a company’s sales team. Whether your business is plumbing or interior design, we know that every business is unique and warrants a specialized strategy to make the most of its marketing budget. Contact us today to schedule a free marketing analysis.